How ace is this image? I loved colouring him and I kept it quite traditional with Reds and Greys but I liked the touch of gold. 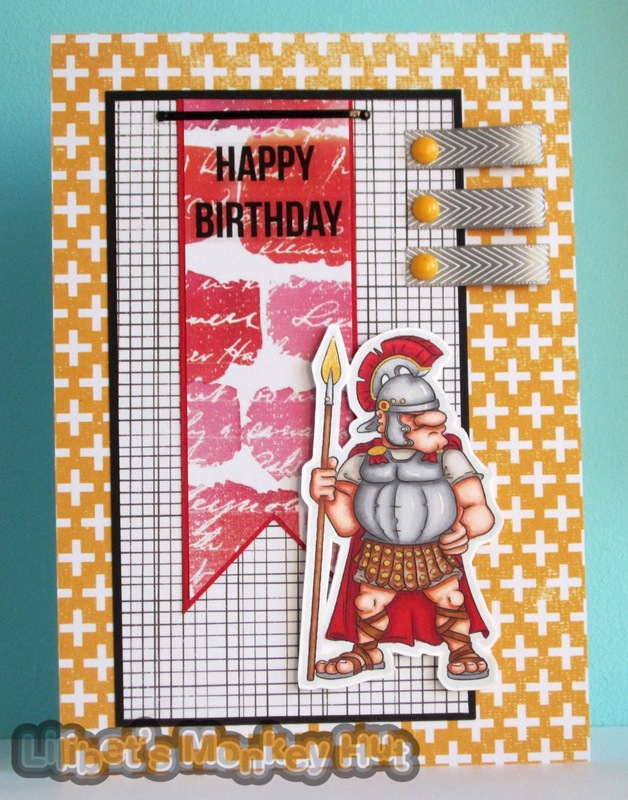 I'm pleased with the way they have come together and its still a masculine card whilst being bright and colourful. Have a great day folks and I hope Gluteus Maximus is an inspiration to you today! 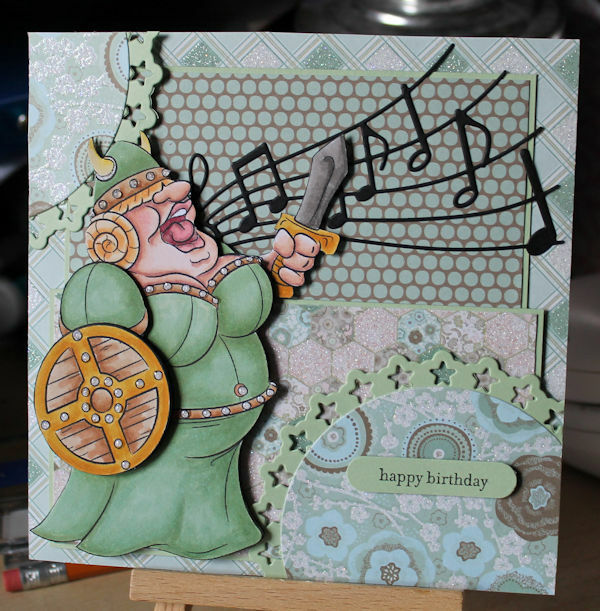 It's my Mum's birthday this weekend (74 years young) so I thought I'd have someone sing those birthday wishes, who better than Brünnhilde, her voice packs a punch! Pow! Boom! Zap! Here comes.............. Blunder Woman!!! A wannabe Superhero in a snug fitting costume! With the added power of a sentiment from Birthdays Sentiment Sheet 01. I think it is safe to say she will not be on the top of anybody’s tree! Phillis has had a little too much Christmas pud over the years. She just sprinkles her fairy dust now. I have used the image Phyllis the Festive Fairy and Christmas Sentiments sheet 01 on the inside as well there are some fun sentiments on this sheet. 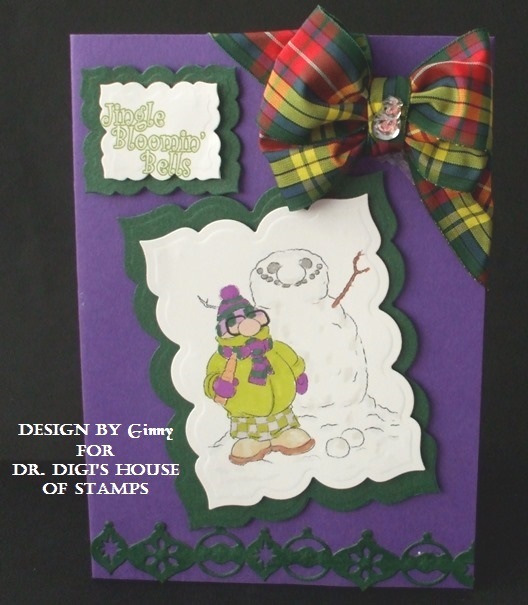 This is Grimble Grumble from Dr Digi's House of Stamps. Offically he is a Gnome but I decided to use him as a Christmas Elf . I wanted to make Grimble Grumble Bright. I decided he would be a Bright and Merry chap whether he likes it or not!! I think he is actually looking rather pleased with his sparkly beard! I apologies its a Christmas card but it is only 98 sleeps till the big day!! I have lots of Christmas cards to make before then! 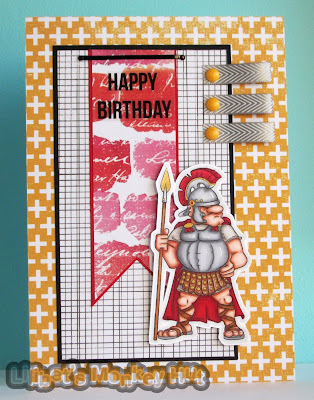 If you would like to see the full card recipe - Take a look at my blog for details. Right I'm off to spend the day creeping around the house trying not to wake the Boyf who is currently on nights - It's a good job I don't have to wear a bell like Ol'Grimble! 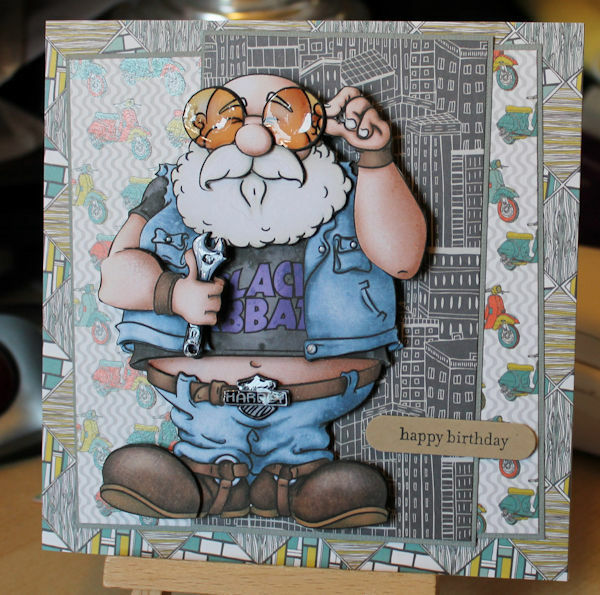 Today I made a great card for a male birthday. Who doesn't wish such a great lady to his birthday. 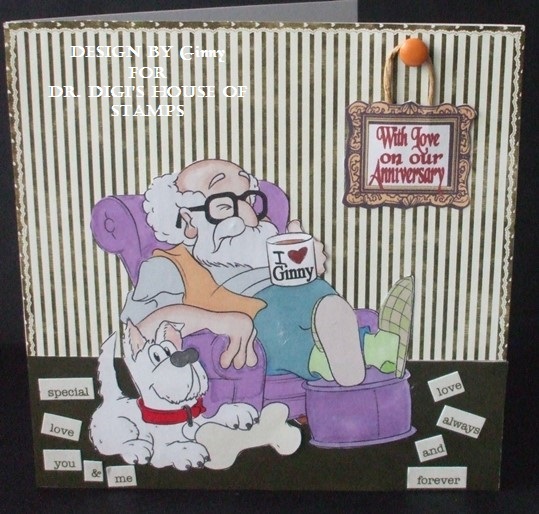 I hope lots of men like such a card. Here on my blog you can read how I made it. 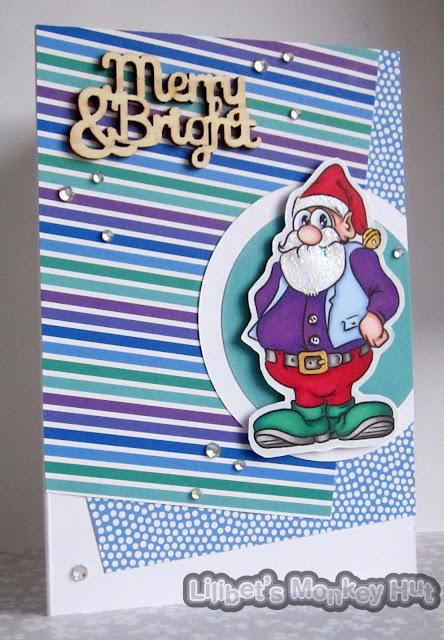 Martini Bianca is one of the great digi's from Dr. Digi House of Stamps. At the moment I am busy having a huge declutter of the whole house, including crafting stuff so I needed a digistamp that was quick and easy, Aubrey Bumblethorpe came to my rescue! 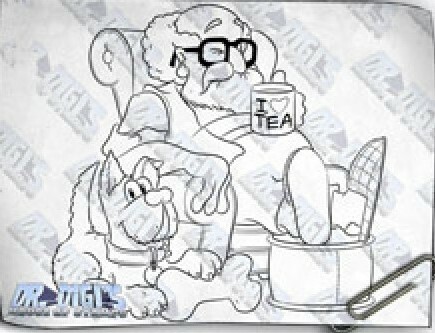 He is another of Dr Digi's selection of pre coloured digi images, a handsome old devil, you will agree! 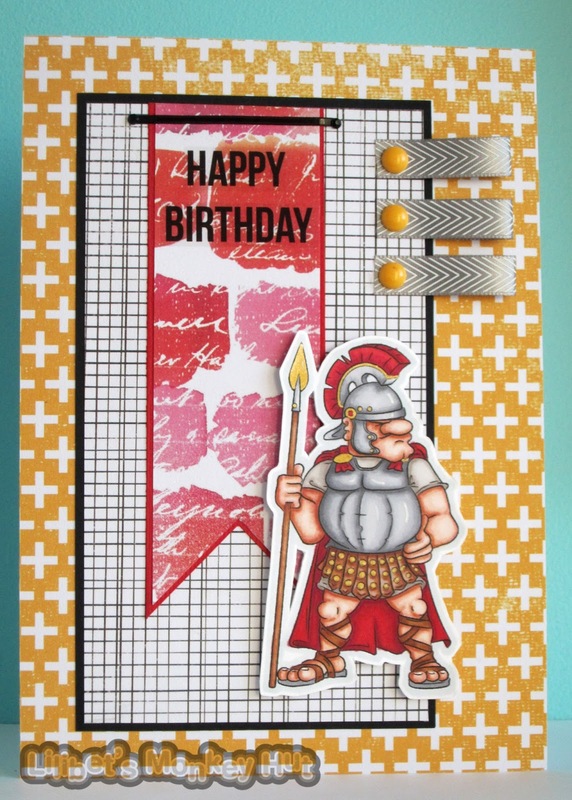 He can be found HERE and if you do not have a cluttered craft desk and want to colour him yourself then you can find him HERE. The poor snowman will be Lonely this Christmas if you don’t keep him company for a while. But don’t light a fire to keep warm just wrap up well! 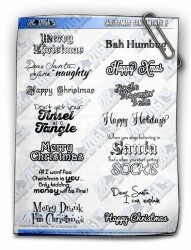 I have used the image Lonely this Christmas and Christmas Sentiments sheet 01 on the inside as well there are some fun sentiments on this sheet. This is Vlad and he his a great image to colour. I didn't use my usual skin combo on him as I wanted him to look - well... grey and dead!! I was originally going to use him for a birthday card with some kind of pun about Counting and birthdays but struggled to word it so maybe I'll will figure that out for another time. 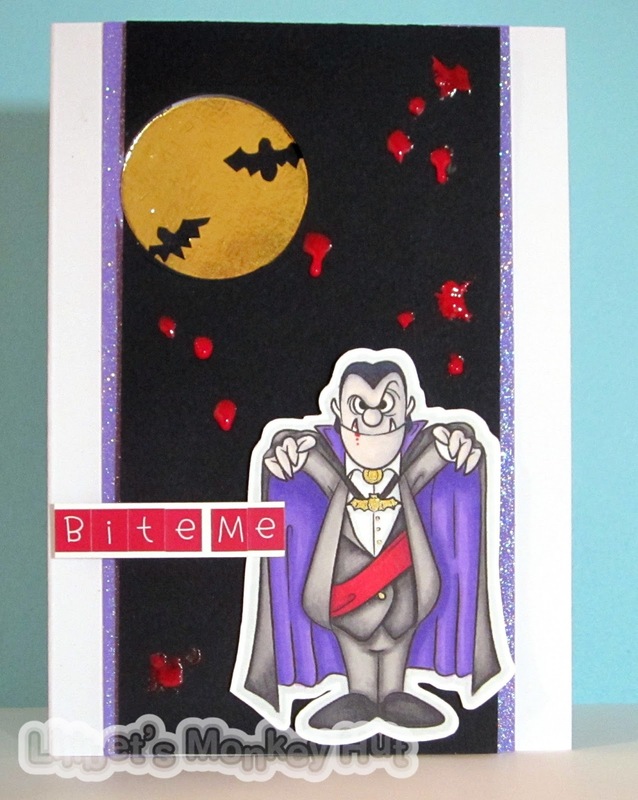 But Vlad would be great not only for Halloween cards but also valentines and birthdays. 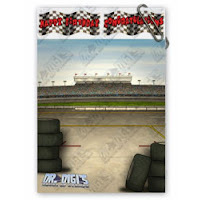 Good morning today from Dr. Digi's House of Stamps we have PERFECT SUNDAY but on a Monday!! A Perfect Sunday for Ambrose Dunderton is feet up a cupper cricket or football on the TV and Trotsky, his faithful terrier! This image is perfect for so many occasions and great fun to colour. . I have used it for my wedding anniversary only 41 years ago today that we tied the knot. Perfect Sunday looks like my John and Macy our Westie but John does not have a beard! Morning Everyone - I know you will be reading this in the light of day but I am writing this in our holiday home in Wales after having just got in from eating the biggest Mexican meal and drinking a jug or two of Cosmopolitan! I really feel like I need to let it all hang out and relax now just like Walter!! This card has been made for the boyfriends work buddy who is soon to retire. 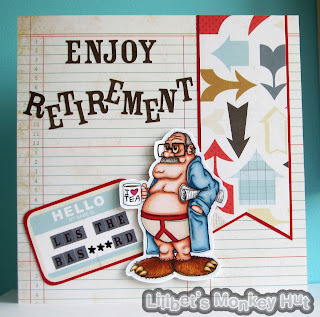 He has some grand plans for his free time but they all joke that he will end up spending his days sat around in his underpants, so Weekend Walter was the perfect choice. And because its a digital image I was able to make this a big 8 x 8" card so there was plenty of room for all the good wishes. 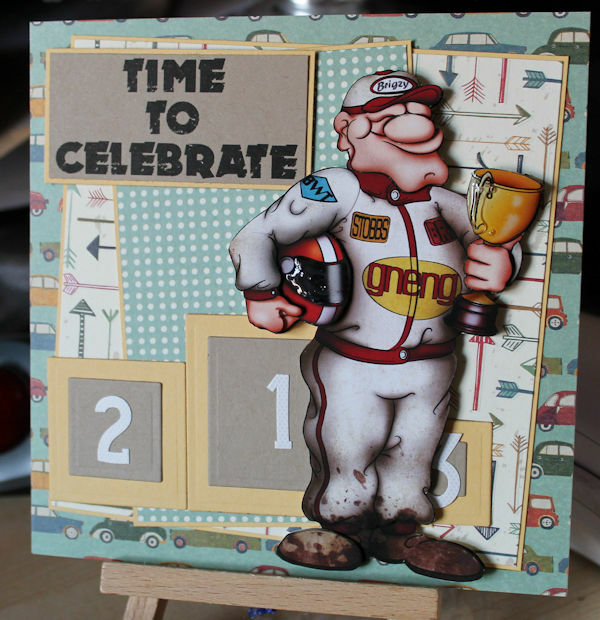 If you would like the full card recipe - pop over to my blog by clicking here. Have a fab day and week. I will try not to eat so much for the rest of the week!! 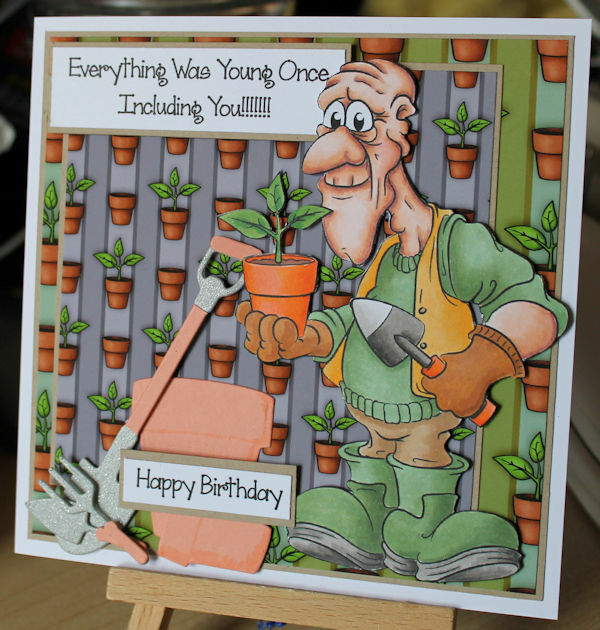 Ted has been carefully tending his seedlings, they are aloe plants and he is planning on finding the secret of eternal youth, although he possibly needs to get a move on! He has needed his wellies this summer but still hopes he might be able to break out his flip flops if a rumoured September heatwave comes to pass (something to do with if America gives a weather system a big enough shove to get it across the Atlantic). You can find Toolshed Ted HERE and the most fantastic Seedlings papers HERE (second only to the biscuits paper in my humble opinion). Hope you all have a good weekend. And now for something a little different! I've made this jacket and shirt and used papers from Polo's - one colour for the actual shirt and a contrast for the inside of the jacket. And the best bit? The papers only cost £1 for 5 different colour-ways!